The only thing more frustrating than leaving your phone behind is realizing that you have it right there in your hand, but the battery’s dead. And this aggravating experience has become even more common with the new feature-rich smartphones, whose batteries often won't even make it through the day. Fortunately, there is a solution: portable battery-powered chargers. Small enough to fit in a purse or pocket, these little devices carry enough juice to keep your gadgets up and running until you’re able to make it back to home base. But with quite a few options available, it’s important to shop around for the portable charger that best meets your needs. A key differentiating factor when shopping for a portable power device is how the charger gets charged. Some rely on off-the-shelf AA batteries, others are rechargeable via USB, wall outlet or charging mat. Each has its pros and cons. You have to be pretty deep in the middle of nowhere to be cut off from a supply of AA batteries, making this a reliable choice. Battery-powered chargers are inexpensive, too, generally under $20. Of course, the cost of the AA batteries will start to add up if you use the charger frequently, and they drain more quickly than a rechargeable solution. These systems can be charged through a computer (or a powered USB hub), making them handy in places like airports where outlets are at a premium. They can also be charged on-the-go, assuming your laptop has available battery life to spare. Keep in mind that USB ports, especially in older machines and laptops, are not very powerful, so it may take a while to get a full charge. Simple and straightforward, these systems work well for most users, as long as outlet space is readily available. Easy-to-find adapters also allow you to charge these in a car. As a bonus, you can often connect devices for charging while the power system itself is plugged in and charging. A variation on the wall outlet theme is the charging mat, which can power up several devices at once by simply laying them down, without making a cable connection. Mats are generally used to charge cell phones fitted with specific charging adapters, but Duracell’s myGrid mat ($85 and up) also supports an optional USB charger ($40) that can be powered up right next to your phone. While this is very handy for home use, it’s less practical when traveling. Most portable power systems are designed to charge small electronics, such as a cell phone, portable gaming system or GPS. The standard output is 500mA-700mA, which is sufficient for devices of that size. 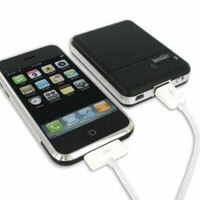 You will find a variety of power storage capacities when shopping for portable chargers. A higher capacity won’t charge an individual device any faster, but it can be used more frequently before requiring recharging itself, and can sometimes charge more than one device at a time. If you’re concerned about how much charge your backup system holds, you’ll want to look at the mAh rating (milliamp hours), which is one of the best way to compare devices. For example, a power backup system that is rated at 1150mAh might add 3 hours of talk time, while one rated at 1800 mAh may add an additional 4 hours. Your actual mileage on these will vary based on the device being charged and you should know that smartphones with touch screens and powerful processors draw a lot of power. Go for a high mAh rating in order to get the most talk/use time possible. Larger devices, such as a laptop or iPad, need a higher output to charge, requiring larger batteries and costing far more. Battery-powered chargers for laptops are available, but they’re certainly not pocket-size devices. Rather than offer different portable charger models to fit the specific plug requirements of each phone and media players, manufacturers offer adapter cables or tips to make their standard product accommodate a variety of devices. Check to make sure the portable power system comes with the specific cable, tip or plug your devices require. Some include only a mini-USB jack, while others come with a variety of adapters. Is There Any Power Left? Some portable power chargers have indicator lights that tell you when your device is fully charged, or when the charge is getting low. Another worthwhile feature in a portable power system is an On/Off switch, to avoid standby power drain. This compact 3.2” x 2.5” x 0.7” device takes two or four AA batteries. It comes with a retractable USB cable and seven adapter tips, but since it uses a standard USB jack as a connector, you can simply use the cable that came with your phone or media player. The plug-in iGo Charge Anywhere is small and lightweight, with two USB ports for simultaneous charging. 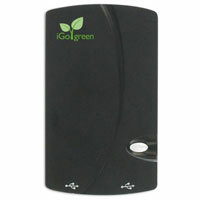 The iGo Charge Anywhere includes one free charging tip of your choice and a 6ft USB/micro USB charging cable. Rated at 1800mAh. 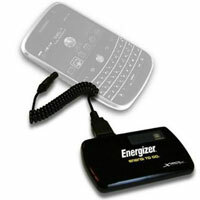 The Energizer XP2000 has a mini USB input for charging and a standard USB output. But for true road warriors, the XP2000 can be purchased in a “PowerKit” which includes a USB/wall plug, a USB car charger, a USB cord (for use with included tips), and 4 tips (including Apple, mini USB, micro USB and Samsung). Energizer offers two free tips a year to those who register their PowerKit. Rated at 2000mAh. 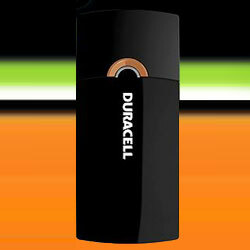 The tiny 3-inch Duracell Instant USB charger has a mini USB for charging and a standard USB output. It has an on/off switch to ensure it always has charge when you need it. Rated at 1150mAh. Great information, Christy. I have been looking at a few of these for gifts. Great article! Bought the Energizer, and am very happy - Thanks! I’m after a mobile charger for my huawei ph it doesn’t hold its charge .